Tanglewoof opened at Tanglewood Park in May of 2013. The all turf dog park is designed for both large and small dogs to legally run off leash in a fenced area. The 2.35 acre dog park is separated into “large” and “small” areas. Dogs 25 pounds and heavier are considered “large” and are designated 1.75 acres of the park. Dogs 25 pounds and lighter are considered “small” and are designated 0.60 acres of the park. The dog park is free to the public and is located across from the RV Campground. Water fountains are provided for both people and their dogs. Benches are also located along the perimeter fencing along with trash receptacles and dog waste stations. Happy Hounds opened at Horizons Park in July of 2007. The all turf dog park is designed for both large and small dogs to legally run off leash in a fenced area. The 2.65 acre dog park is separated into “large” and “small” areas. Dogs 25 pounds and heavier are considered “large” and are designated 2.25 acres of the park. Dogs 25 pounds and lighter are considered “small” and are designated 0.40 acres of the park. Water fountains are provided for both people and their dogs. Benches, trash receptacles and dog waste stations are also located inside the park. Funds were donated to Forsyth County to construct this new facility from the Edna B. Parkin Georges Animal Fund, which is administered by the Winston-Salem Foundation. The balance was raised by the Forsyth County Bark Park Committee through fund raisers and donations. The Bark Park Committee was chaired by Ms. Darlene Pruitt. Total funds raised were $48,585. Dogs shall have on a collar with ID and display dog license and rabies vaccination at all times while in the park. All dogs must be leashed until safely inside, and returned to a leash prior to exiting. Owners must have one leash per dog at all times. Dog owners must remain in the fenced area while their dogs are using the dog park. Owners must be in view of their dogs with voice control at all times. Dog owners must be age 18 or older to be allowed in dog park area unsupervised. Children accompanying dog owners must be strictly supervised by an adult and be at least 12 years old to be allowed inside. Spectators should remain outside the fenced area. Aggressive dogs and female dogs in heat are not allowed. Owners must immediately leash and remove dogs from the dog park at the first sign of aggressive, hostile, or combative behavior. Any dog found to have bitten another dog/person will lose all dog park privileges. Scoop your dog’s poop and dispose of it in the containers provided. While small, bite-sized training treats are permitted, food in bowls, long-lasting chews, or glass containers are not permitted. Smoking and eating are not allowed inside the dog park. Cigarette butts and food wrappers are tempting and unhealthy for dogs. Wrappers and other litter can be eaten by dogs and cause a choking or digestion hazard which can be life threatening! Sick or injured dogs are not allowed. Owners of dogs with a known sickness/injury or displaying sick or injured behavior will be required to remove their dog immediately. Each adult may have a maximum of two (2) dogs at a time in the park. Puppies less than four (4) months old are not permitted. North Carolina State Law requires that all dog bites be reported to the Animal Control Office at (336) 703-2490. In addition, owners are required to assist in the investigation of incidents of aggression or biting by providing appropriate identification and information to the Sheriffs, Parks and Recreation Department officials, and to other dog owners who are involved with the incident under investigation. Failure to provide assistance and identification as requested will result in immediate revocation of all dog park privileges. Owners are liable for any injury or damage caused by their dogs and are fully responsible for their dogs’ actions. Owners are responsible for any injury or damage caused by your dog. Prevent injuries by supervising your dog at all times. Never leave your dog unattended. If your dog inflicts an injury, please give your name and telephone number to the other dog owner before leaving. You are at all times solely responsible for your dog’s behavior and any damage your dog may cause. Owners must fill all holes dug by their dog. All dogs and owners use the dog park at their own risk. 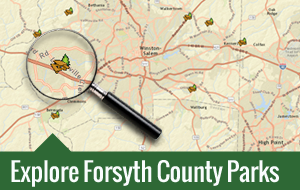 Neither Forsyth County nor Forsyth County Parks and Recreation Department shall be liable for any property, physical, or pet damage or injury occurring within the off-leash area. In addition, by using the dog park you are accepting the responsibility for the actions of your dog and yourself. Strollers, bicycles, tricycles, big-wheels, wagons, roller-blades, etc. are not permitted in the dog park, except wheelchairs used by people with disabilities. No attendant will be on duty. Owners who fail to abide by rules and regulations are subject to loss of dog park privileges. Remove choke, spike, pinch, prong, or collars that may injury other dogs BEFORE play is allowed. The off-leash dog area is for dogs, their handlers, and those accompanying them. No other use is allowed. These areas are designated for canine activities. It is not intended for any other purpose. Keep walking or playing – this helps keep the off-leash area "neutral" territory for all. Keep your dog on leash until you enter the off-leash areas, and carry a leash on you for each dog at all times while in the park. Dogs shall be under your visual contact and voice control at all times; stay within close range of your dog. Be aware that dogs have different play styles. 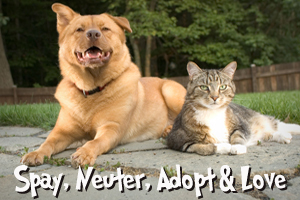 Talk to your veterinarian, talk to other dog park users, and educate yourself on dog behavior. Ensure each gate closes behind you before you enter the next one. Fill in any holes your dog digs or make appropriate repairs to disturbed areas. Do not bring a dog with a known history of biting or fighting. Leave the park in better condition and cleaner than you found it.